Claudia Mussett is an illustrator and visual artist based in Barcelona. 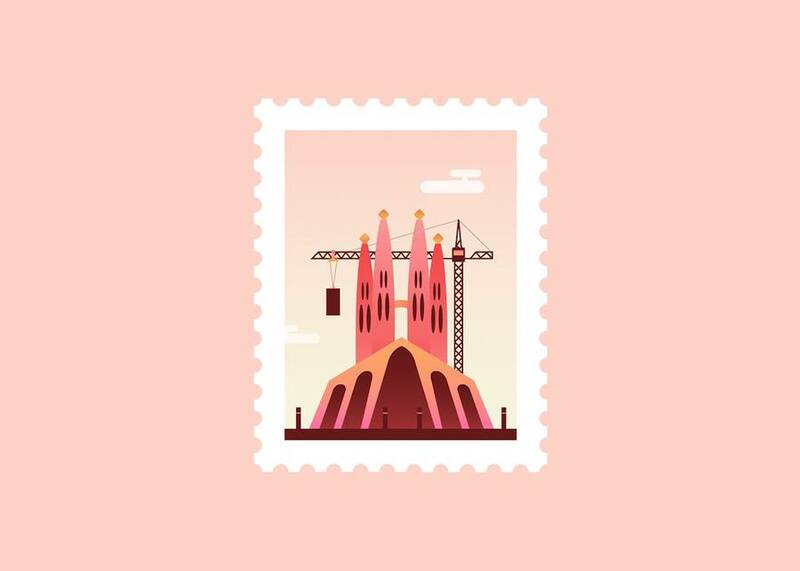 In a recent series entitled Animated Post Stamps she imagined animated and illustrated stamps representing cities monuments as the Sagrada Familia in Barcelona or the Empire State Building in New York. Little pictures are animated in a colorful universe.